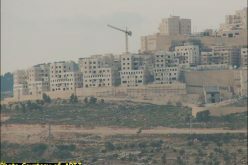 The village of Al Sawiyah is located 22 kilometers to the south of the city of Nablus. The village is inhabited by 4000 Palestinian most of whom work in farming olives, figs, and almonds. 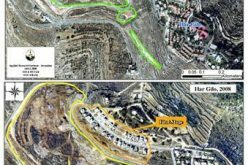 The settlement was established in 1992 about 2.5 kilometers to the north of the village after the Israeli relevant authorities confiscated about 80 dunums of the land of the village. 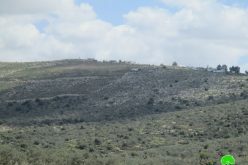 The 8-kilometer by-pass road connecting the settlement with Israeli proper led to the uprooting of 1500 olive trees in addition to the razing of 1000 dunums. The settlement was established initially as a military camp soon after which it was transferred to a full pledged settlement through the placement of a number of caravans in it. It was documented that the settlement contained 13 caravans up until 1997. The settlement started its expansion process on the 5th of July 1997, as work on 14 colonial housing units was embarked upon. These units are in their final stages as of April 2001. 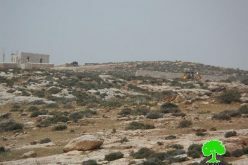 The uprooting of 35 olive trees on the 10th of March 2001. The trees belonged to Mr. Saeed Al Eetani (15 trees) and Mr. Ghazi Al Sayed (20 trees). The uprooting of 50 olive trees on the 25th of February 2001. The trees belonged to Mr. Abdel Khaliq Abdel Majid Dawleh. The uprooting of 40 olive trees on the 15th of January 2001. The trees were owned by Mr. Adel Raja (25 trees) and Mr. Fawzy Khair Allah (15 trees).